Why would I need self storage in Manassas Park, VA? There are a variety of reasons why you might need self-storage in Manassas Park, VA.
How much is a storage unit in Manassas Park, VA? The cheapest storage unit in Manassas Park, VA is $29.00 per month. What size storage units do you have available in Manassas Park, VA? In Manassas Park, VA we have sizes that range from 5'x5' to 10'x25' to suit your storage needs. How much is it for a 5'x5' storage unit in Manassas Park, VA? The cheapest 5'x5' storage unit in Manassas Park, VA is $29.00 per month. 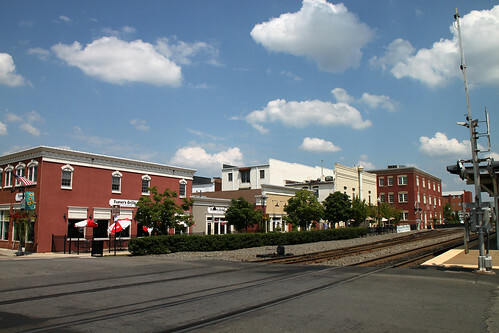 Located in northern Virginia, Manassas Park is a small city just 30 miles southwest of Washington, D.C. Although it has a very small geographical footprint at just over 2.5 square miles, the city has established itself as an attractive suburb thanks to cozy residential developments and quick access to Washington, D.C., and other northern Virginia locales. Like many parts of the U.S., the land where Manassas Park now sits was most likely home to Native American tribes before European settlers ever arrived. The area has been settled for centuries, but Manassas Park didn't see significant development until the 1950s, when the first homes were built. The community officially became a town in 1957. Then, Manassas Park became a city in 1975, the final town in Virginia to incorporate as a city. Major employers in the Manassas Park area are generally in the education, government, construction and engineering industries. Manassas Park City School Board is the city's largest employer, followed by the City of Manassas Park. Construction companies C.W. Strittmatter, James River Equipment and JSC Concrete Construction also provide a number of local jobs. If you're looking for a job in the area, it can be helpful to be aware of the major drivers in the local economy. Some of the largest industries in Northern Virginia include professional and business services, education, health services and government. In the coming years, fast-growing industries like construction and trade and transportation are quickly making a name for themselves as well. Manassas Park City Schools is a small district manages the community public schools. Despite its small size, the district has earned recognition as one of the best in the state. There are also a few private schools in Manassas Park and its neighboring communities. Utilities: The city provides water and sewer services, while NOVEC Is the area's primary energy provider. Garbage and Recycling: Weekly trash and recycling collection is provided to all residential areas in Manassas Park. Transportation: The Washington Metro Area Transit Authority operates public bus and rail routes throughout the grater D.C. metro area, which includes Manassas Park. Manassas Park is divided into more than a dozen subdivisions, each with a unique identity. Neighborhoods like Belmont Station and Point at the Park feature newer apartment and townhouse complexes. New residents can find single family homes in neighborhoods like Bloom's Crossing and central Manassas Park. Our lowest priced units in Manassas Park, VA average $42.25 per month. 118 people have reserved units in Manassas Park, VA in the past 30 days. There are 4 locations within Manassas Park, VA's city limits. There is 1 location in Manassas Park, VA that offers AC and Heating features.